The perfect blend of simplicity and PLENTY of information in an easy-to-understand style. 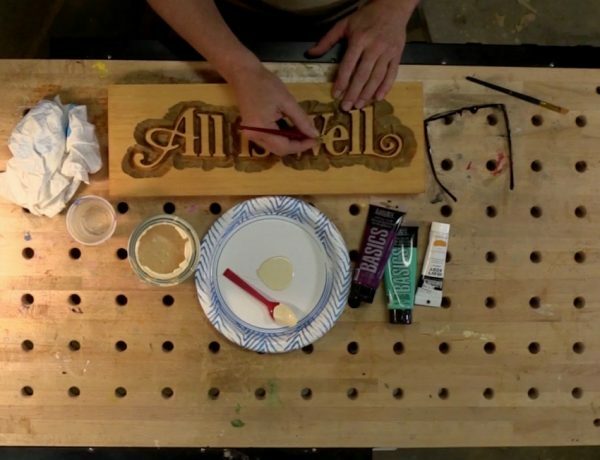 Everything you need for a first-time sign carving project. After purchase you can watch your video here. So you want to learn to carve, do you? No prob. Ray will show you how (and make it super easy) in this step-by-step, in-depth, instructional video. 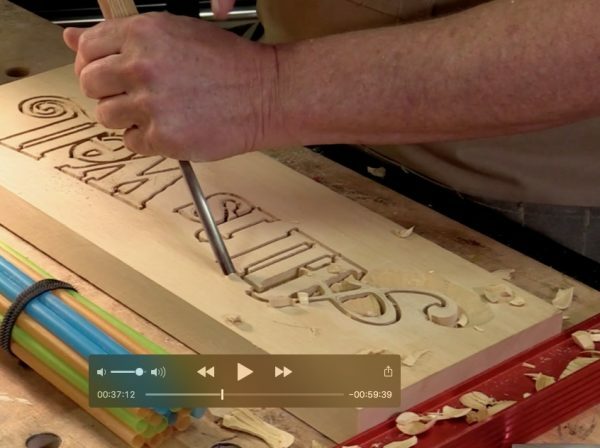 Follow along with Ray as he reveals his tried-and-true carving method, which has made his carvings the favorite of millions of people at Disneyland and Disney theme parks worldwide. This is NOT a quick YouTube video. It’s 90 minutes long and packed full of everything you need to know in order to complete a beautiful, hand carved sign… your very first time! Let Ray’s calm, patient teaching method guide you into a whole new world of working with your hands, helping you carve something truly beautiful. This video is the perfect “warm up project” for Ray’s beginning woodcarving retreats held at his Northern California studio. 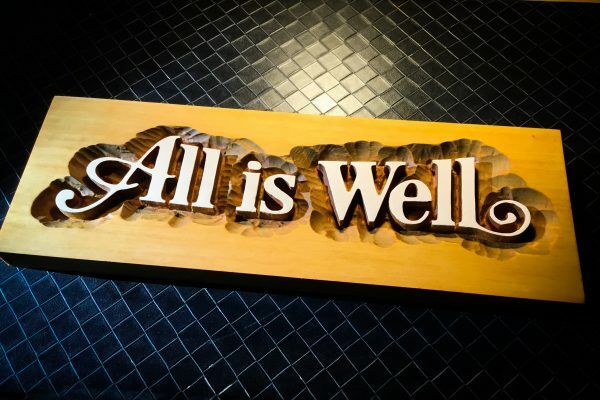 Ray invites you to come attend one of his retreats, in which you will go much deeper into relief woodcarving and get to experience his personalized, one-on-one coaching firsthand. This instruction video course will walk you through the process of carving your first sign. 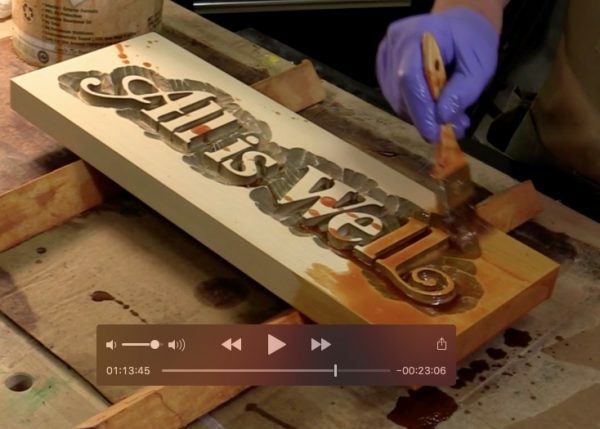 Ray will explain what tools and materials you’ll need, and then patiently guide you, as if right by your side, through an in-depth tutorial for carving a beautiful lettered sign. This instructional video also comes with a PDF template file that you can print out and use on your project. 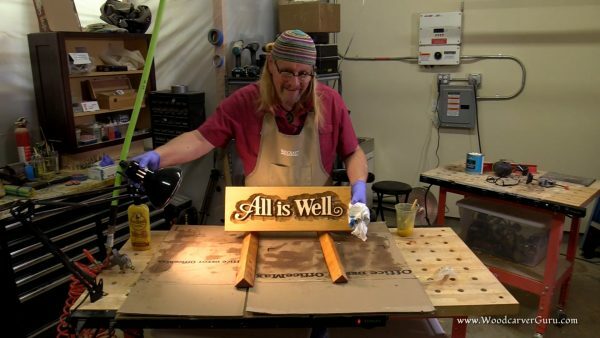 Your video was the most comprehensive sign carving tutorial imaginable. The methods, tips and tricks, answered so many of the questions that I have been stumbling with from routing to finish clean up. I am ready to carve my first sign and now I have the confidence to pull this off. I’ll share with you my progress on my first project. Thank you so much for all the time and thought you put into your new teaching video! It was very professional and presented in a way that was teachable, challenging and ENCOURAGING!!! After carving for over 40 years , I’m sure its like breathing to you.. your hands just know what to do!! And yet you had great tips and suggestions of different ways to get the desired look!! Thank you seem to common of a word to use… With a sincere and grateful heart I thank you for imparting your gifts and talents with us! GREAT video! Very straight forward and excited to dive in! Looking forward to future videos. Thanks! Outstanding video! Raymond does a wonderful job explaining each step of the process to make a beautiful sign. He is very methodical and patient. The video is very well done with some great closeups but also fast forwards through sections when necessary. You will not be bored. What an incredible opportunity to learn from a true master. Raymond, please continue to make more of these! This is a great video that covers everything you need to know to get started. It is very thorough and enjoyable to watch! An in person workshop is truly the best way to absorb the expertise of the amazing Raymond Kinman, but this video is a perfect introduction to the intensive workshop and gives you a great idea what you are getting yourself in to 😀 I did the workshop first and purchased the video after. It is a nice refresher on some basics and I highly recommend both! 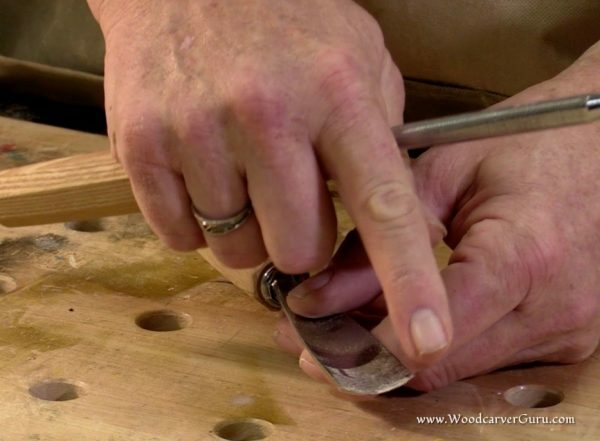 What a great Video – not just because of the carving subject matter but because it is one of the best laid out and easiest to follow instructional videos I have seen in a long time. Some instructors go too fast and gloss over important points and some go so slow that you loose interest along the way. Raymond’s approach is just right. I really felt that he was giving me personal instruction. I sure hope that indeed this is just the first of many! This was a great value for such detailed instruction. I signed up for the retreat but was so excited to get started I decided to get the video so I could see what to expect, and get a little experience under my belt before I get there. Raymond’s tone is calm, clear, and at a good speed to learn from. He breaks things down in small steps that lead to a very nice product in the end. I have no doubt I could carve a similar design with a bit of practice using his method. Now I am going to get to work on the design I want to carve at the actual retreat! INCREDIBLE! This video empowers you to go from zero to amazing! Extremely detailed and thoughtfully produced. Perfect pre-course prior to heading out to Cali. Can’t wait and glad I can learn a foundation now! Hello Raymond, Thank you for producing this video! It’s a fun & informative watch. It left me question-less at the end of the video thanks to your in depth explanations & demonstrations. 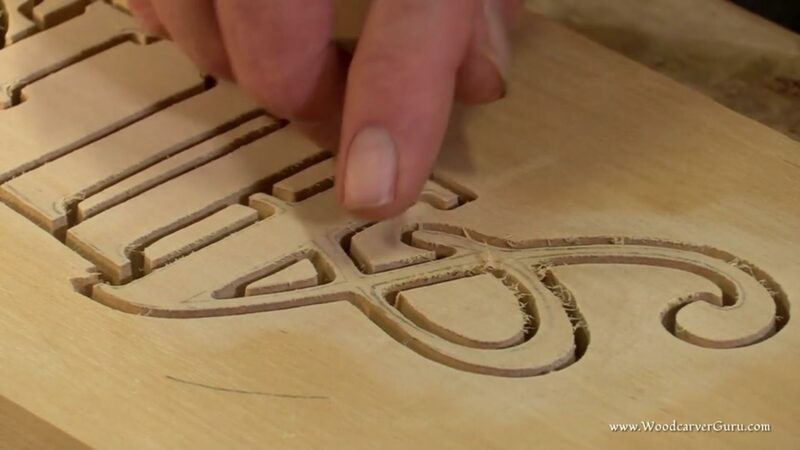 This was not available before I took the carving workshop at Raymond’s studio, but is an amazing & helpful tool to remembering the processes we learned at the “one on one” workshop. It would also be a great precursor to his workshop, taking your carving skills to the next level. So fun! I hope to earn the prestigious “carving beanie” one day. Hello Ray and thank you for such a great instructional video. Your manner, presentation, directions, tips and suggestions all were spot on. Your slow and intentional delivery made this not only informative but soothing and supportive for a first-timer! I can’t recommend it enough to anyone interested in doing this. You’re right – next up is one of your workshops! Thank you again so much! The education imparted in this video is worth multiples of its cost and a fraction of the cost of any therapeutic remedy for the stress of today’s living. 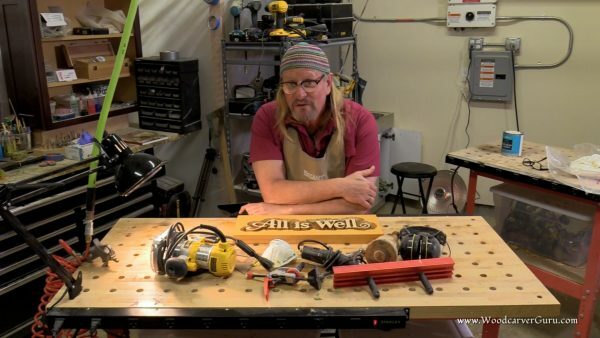 Thank you, Ray, for putting this video out here at such a low price so we can learn to enjoy the many benefits of woodcarving without breaking the bank. I have begun carving my first projects thanks to this and my grandchildren will soon enjoy the fruits of my new hobby. I am very happy that I discovered this opportunity (through a single post on a Facebook woodworking group) and that you actually teach small classes. I hope to schedule myself into one of your classes before too many more moons.